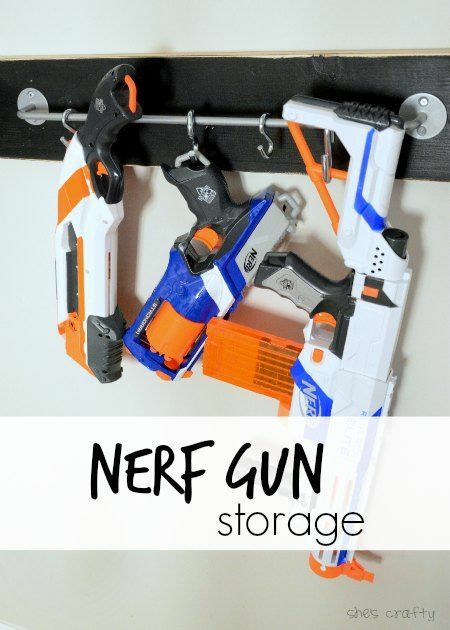 Today I'm sharing an idea for Nerf Gun storage for our boys room. My son is a toy gun fanatic. 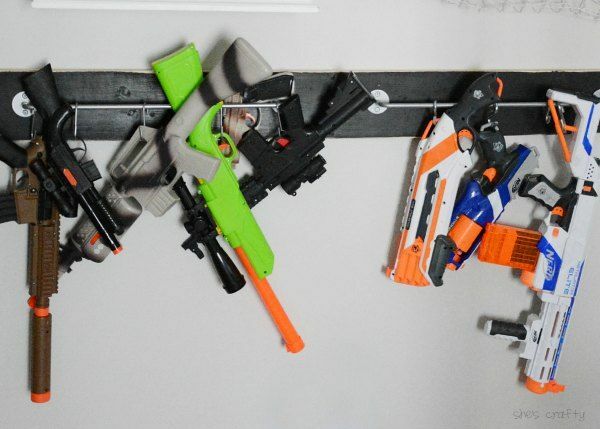 I'm sure there are lots of opinions about whether children should have toy guns. But he does. He loves playing like he's a spy or army guy (like his dad). 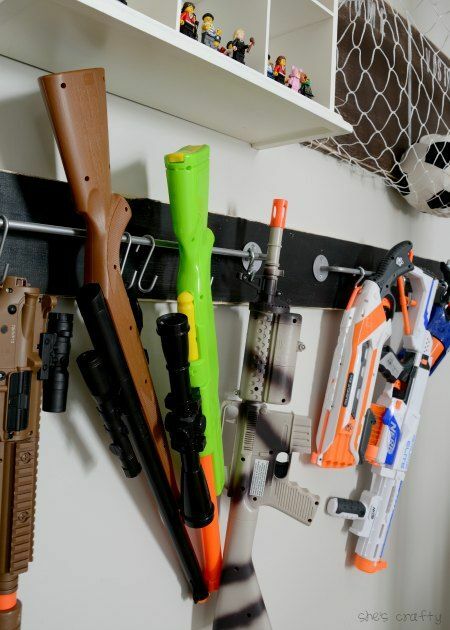 We store the small nerf guns and bullets in a bucket on his bookshelf. But we didn't have a good system to store the large ones... until now! 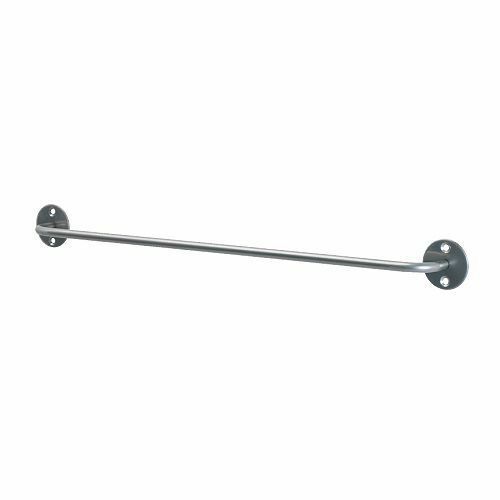 I purchased a few of these bygel rails from Ikea. I attached 2 rails to a 4 foot pine board that I painted black. S hooks I purchased from Home Depot. 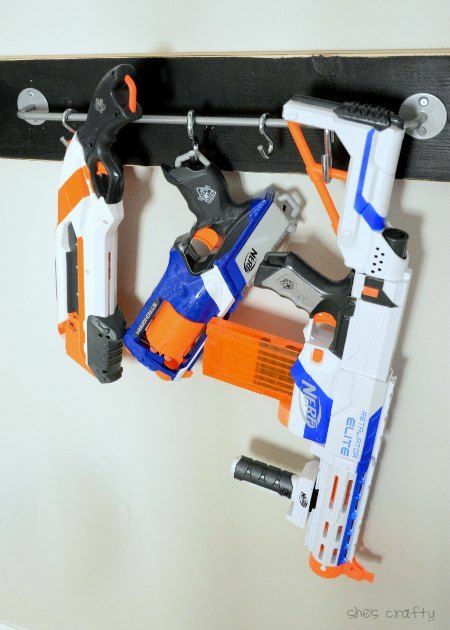 Most of the guns have pretty hand places to hang from the S hook. This system works so well. and he even hangs them up when he's done playing with them. Bonus! Love it! It looks like something out of a spy movie or something hehe... (that ubiquitous scene with the gun closet/chest/trunk of the car) Thanks for joining us at Idea Box Link Party! Hope to have you party with us again this week--party is live at 6am Thursday! 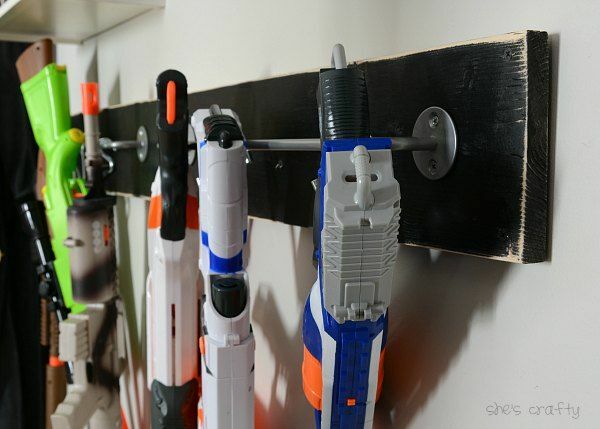 If I could put holes in our rental walls I would totally do this! 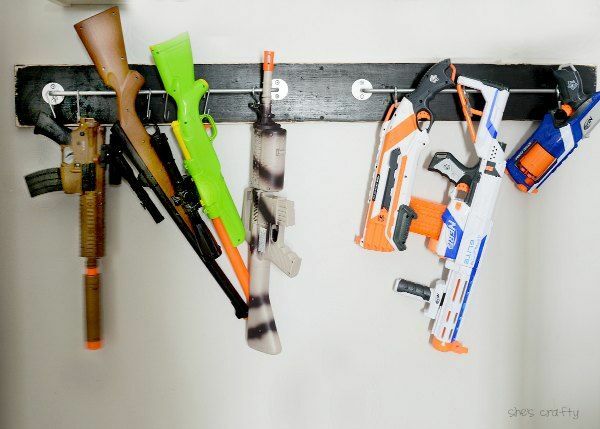 My son has to store all of his "weapons" in a tall-plastic laundry basket. This looks really great!! Thanks for sharing at The Creative Circle. 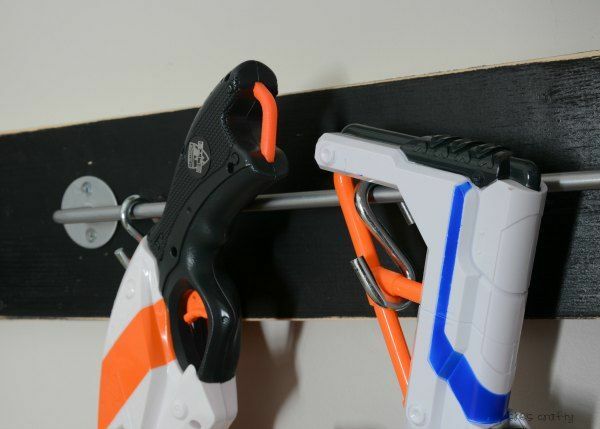 I and my son are big fan of nerf gun. Your post really help me so much. Thank for share ! I used wood screws in each of the corners and then used 2 in the top and bottom in the middle. I didn't use wall anchors. It has stayed up with no problem.